In his post, RGV said that even he gets emotional and sentimental once every three decades. 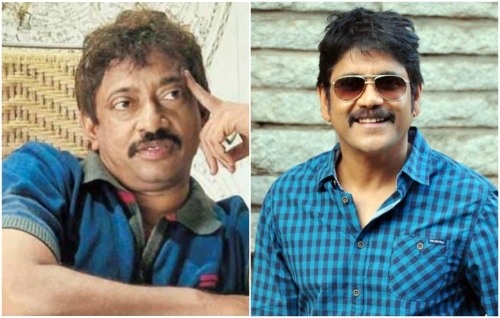 Director Ram Gopal Varma—who is going through a lean phase on the professional front– will soon be collaborating with Telugu superstar Nagarjuna again. And, as it so happens, the film will go on the floors tomorrow at the same place where the filmmaker and Nags had shot ‘Shiva’ more than two decades ago. Speaking about beginning his new film, RGV said that he felt quite emotional about shooting with Nagarjuna again. “My first film Shiva was inaugurated by my father and Akkineni Nageshwara Rao garu and my new film’s opening will be done by my mother and my first producers Akkineni Venket and Yarlagadda Surendra. Yes, I also get emotional and sentimental once every three decades,” he added. Well, we are happy for RGV and hope that his new film does well at the box office. Interestingly, ‘Shiva’ was RGV’s first film and is still regarded as one of the all-time classics of Telugu cinema. Hence, fans are bound to have high expectations from their new film. While announcing the film. The ‘Rangeela’ director had said that it is quite different from anything he has done in the past. “I am extremely excited that I am doing a film with Nagarjuna after nearly 25 years but contrary to some uninformed media speculations, this new film is nothing to do with ‘Shiva’, neither in character nor in story content. It’s a very different but an extremely realistic action film set against a story such as neither me nor Nagarjuna has ever done before,” he had added. Wow can’t wait to watch this movie.